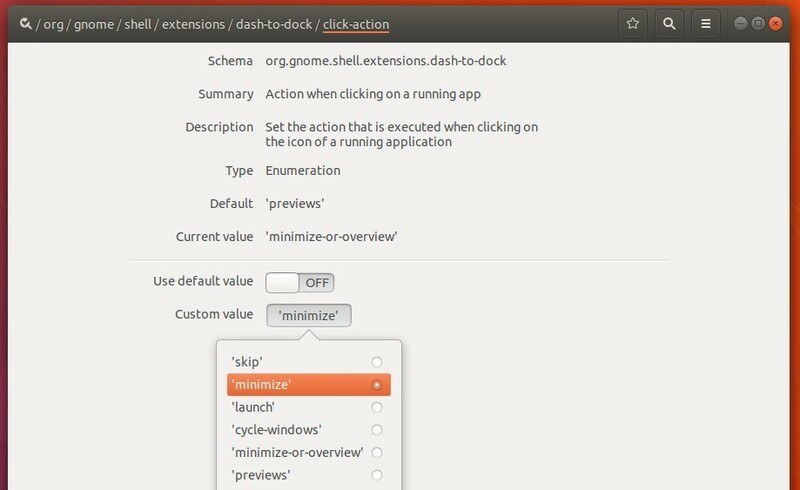 ‘Minimize on click’, click application icon on left panel to minimize the focused application window, is a great convenience in Ubuntu for the left panel. However, both ‘Settings’ and ‘Gnome Tweaks’ utilities do not have an option for this in Ubuntu 17.10 Gnome Shell. 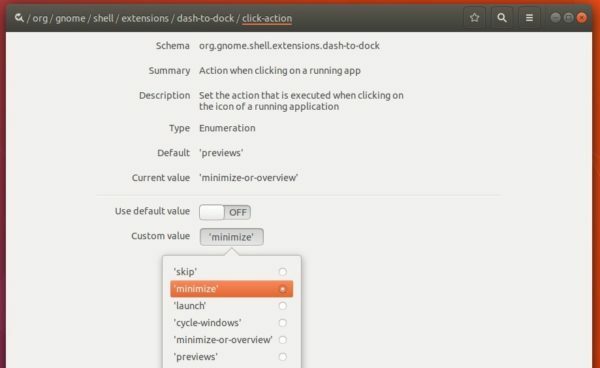 Fortunately, there are settings for ‘dash-to-dock’, the name of Ubuntu 17.10’s left panel, in dconf Editor that contains click action options for a running app. 1. Search for and install ‘dconf editor’ in Ubuntu Software utility. 2. Launch ‘dconf editor’ once installed, and navigate to org -> gnome -> shell -> extensions -> dash-to-dock. click the line to go into its configuration page. turn off the default value switch. select ‘minimize’ or ‘minimize-or-overview’ as Custom value. Thank You So Much Bro…!!! You Made My Day…!!! I have been missing this ever since installing 17.10. Thank you Soooo much! Thank You! It works under Bionic too. Thank you Ji M!!! Made my day.